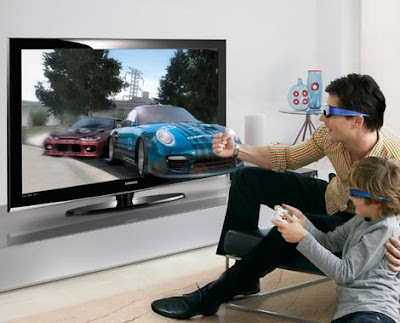 Home 3D Information LED 3D TV : Is it really here? 3D TV : Is it really here? Imagine walking back home after a hard day’s work and being honored with a red carpet welcome. Add to this, some colorful butterflies and a shower of flower petals — no gibberish. The day is not too far when 3D technology will move out of being only available at the cinema halls but also will be available for everybody at their houses. In the 50s, Disney, Paramount and Universal Studios had all created 3D films for everybody to enjoy and that was considered the birth of 3D technology. This vision was also meant to be the way of the future for watching videos, but soon got killed due to strain on the eyes and headaches which were caused by watching a 3D movie which usually, was like a fun filled evening for the family. Since that time, the idea has existed to provide 3D TV to homes everywhere. Of course, this also has to be done without those geeky paper glasses with the red and blue lenses otherwise we will send them back to the drawing board in protest. Well that was the past, as many companies have developed prototypes that do not need those so called ‘3D glasses’. Moving forward a few technology cycles, and this concept of 3D TV without the glasses has risen from the ashes. The past few years have shown us progress in this field with more and more companies moving towards creating 3D TVs. A few years ago, Philips introduced their prototype 3D TV which gave people a view of objects actually being next to them. In reality, however, was just being displayed by a 42-inch LCD screen. 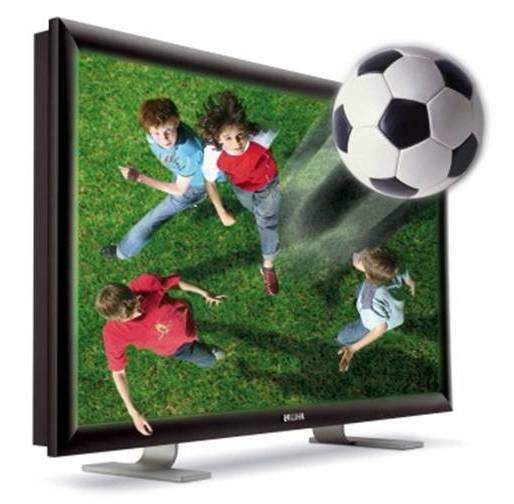 The 3D technology is actually used with LCD TVs and not a separate new type of TV. They used the concept of sending images, slightly differing from one another, separately to the right and left eye – which mimics our stereoscopic vision. Philips is calling this technology WOWvx and is going to have a range of screens with the same title. The WOWvx technology places minute lenses over each of the millions of red, green and blue sub pixels that make up a LCD or plasma display. Basically, there is a processor present in the TV that generates nine slightly different views which correspond to the different viewing angles. 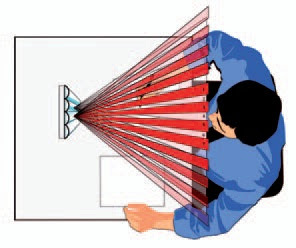 This is why, if you view the TV from any angle, you will get a different image in each eye. Providing these many views is the actual key for the success of 3-D TVs. Currently the best use for 3D TVs lies in playing video games on them. Technically games are created with the generation of three-dimensional objects internally which are then flattened to two-dimensional representation due to the limitations of standard available monitors. Video games are a great ready-made source for 3D content, but what about those of you who don’t like to play games, and want other source of entertainment? The reason why currently movies cannot really be shown in 3D is due to the cost. This cost that we are talking about is not really the cost of creating the 3D TVs, as they cost almost the same as the cost to create a regular LCD or plasma TV, but instead it is the cost of creating a movie to be watched in 3D that is affecting it. There is also research going on to convert ordinary 2D videos into 3D, but it has still not reached an acceptable viewing stage and more work needs to be done for it. Sony, one of the major manufacturers of LCDs and Plasma TVs has also hopped on the wagon for 3D TVs and displayed their prototype model at CES 2009. Sony had a different take on the technology they used, as their 3D TV involved glasses for viewing. But don’t be scared as they are not those horrid paper glasses, but are much better and are being created by REAL D. Not much information was revealed about their launch plans and the future of how they are looking at 3D TVs. In 2008, Panasonic revealed to the world the largest plasma TV which was a whopping 150 inches. But this time, at CES 2009 they decided not to compete in size; instead, they focused on showcasing their advancement in 3D technology. They showed off their 103-inch full HD 3D TV. According to Panasonic, “3D FHD [Full HD] system comprises a 103-inch Plasma HDTV and a Blu-ray Disc player that plays back Blu-ray Discs onto which 3D video (consisting of left and right-sided 1080p Full HD images) are recorded. This current plasma will definitely not fit every home but Panasonic has definitely shown that they want to dominate the 3D TV market". So this is one brand to definitely watch out for if you want to move to 3D TV. 3D has such a large scope when it comes to entertainment. 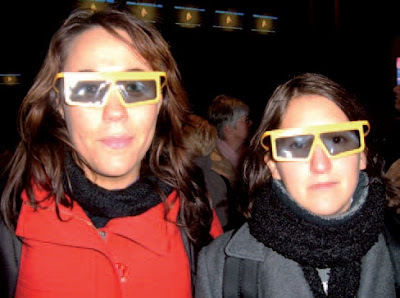 Movies in 3D are already a tried-and-tested method and is loved by all. But having to strain your eyes for it on a regular basis is a price nobody is willing to pay. 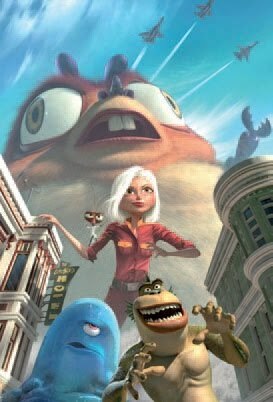 The fun-filled cartoon characters popping out of your screen, the terrifying horror that scares you in 2D, and now will really freak you out thanks to 3D TVs, are all going to be a part and parcel of your daily life soon. It has a wide variety of applications other than just playing games and watching movies. There must be quite a few sports lovers who really want to watch a particular event such as a cricket match, but cannot do so because these matches are played all around the world. Also, sometimes getting entry to these matches is tough not only because of the foot fall but also due to the cost. Broadcasting these matches live through 3D TVs would be one of the best things that could ever happen in this case. This kind of entertainment would require you to just sit at home, but these matches could also be broadcast in cinema halls. It would be just spectacular to watch your favorite sports icon right in front of your face; it would feel like you are actually a part of the game itself. Other than entertainment what other purpose is there for a 3D TV one may wonder, but in fact there are many. One of them includes a gamer’s dream coming true as Westinghouse is working on a passively 3D LCD television. Imagine playing a game that you are finally part of, whereby looking to your left you will actually see objects and enemies right in front of your face, instead of just typically on the screen itself. They have accomplished this by aiming pixels in different directions with varying overlapping points, which creates the illusion of depth to the viewer. A drawback to this technology is that due to the pixel being spread in different directions, the television isn’t capable of switching from 2D to 3D. How many gamers will actually be spending their money on this particular display is a question that only time will answer. Education will benefit to new extents with the introduction of 3D TVs. Education has already moved on to the PC where students even at school levels are referring to video tutorials and other media forms related to their subjects. Having 3D TVs will boost understanding to greater heights, not to mention it would be more fun all together. For example, while studying geography, instead of just looking at a country on the map, with 3D TV you can zoom to show pin point locations right in front of your eyes. The field of medicine will really benefit from 3D TVs and this idea is being made a possibility by several large companies. Some companies such as Alioscopy are currently focusing towards medicine and are not moving along the stereotypical path of targeting home users. Viewing the internal organs in the human body in 3D will give a boost to doctor's performing surgeries. Their diagnosis can be made more easily and it reduces the chances of causing an error. There will be a whole new understanding and approach to medical procedures with the introduction of 3D TVs. Biotechnologists and biomedical researches also profit from this and can display detailed structures of DNA and proteins that they have mapped, in return giving them a better understanding of genetics and our very own evolution. People get easily distracted by shiny objects being displayed on a regular television and if it is a product, it will be wanted by all. This is a common advertising strategy that is used by companies to lure people into purchasing their products without actually getting to see them first hand. Traditional television is limiting the viewers from actually finding out the full features of a product. Utilizing 3D TVs as a mode to sell products will give potential buyers a better look at the product and will not be disappointed with what they purchase. Those tele scammers will finally be dealt with. When 3D TVs go mainstream, which won’t be very long, even professionals like Architects and Interior Designers will benefit from it. Creating and presenting their projects can be done with much more ease. Plans for building and homes can be laid out and conveyed to the clients simply through a 3D TV. Using your LCD or plasma TV, that is wall mounted, to display beautiful pictures of art work is now a common thing seen in households that have these TVs. Now think about those images actually popping out of that screen, letting people view it in a whole new way. Luxury at home will soon know a new meaning with 3D Art. Sculptors and artisans normally create intricate designs before actually executing them, but sometimes things don’t turn out as originally planned as what they view is on a 2D plane. But with 3D playing a roll here as well, things will always go as planned. 3D technology has inspired many other similar fields. There are researches that are working towards creating a chip in cameras that can actually capture an image and convert it into a three-dimensional one with actual depth and distance. As this technology is new it does have its own kinks that need to be sorted out. But this has also helped to reduce noise and other distortion in images. This 3D technology would make a welcome addition to the cameras of the future. As battery capacities expand and processors become more powerful, cameras will be able to sport these chips with ease. Although the price would probably be higher than a traditional sensor, being able to take 3D photos would certainly be worth it, at least for some. 3D is just the start of things and is already looking very promising. 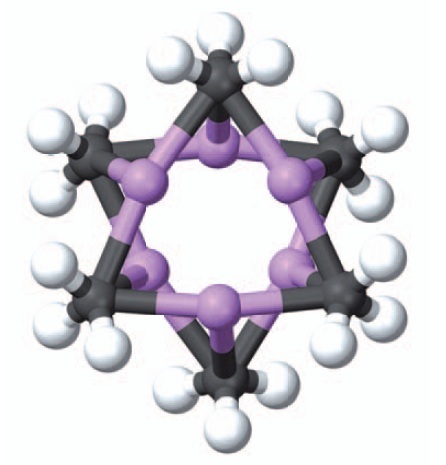 The next thing that this will evolve into is holographic imaging. The day will come when communicating between people will feel that you are actually talking to the person right next to you. Even your watch or mobile phones (if they will still exist) will be able to transmit this type of video and with a voice interface you can actually see the person you are speaking with right next to you even though he or she might be in another part of the world. 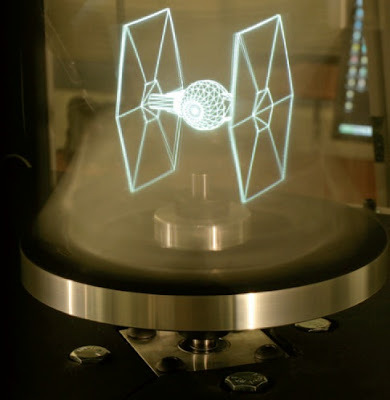 Holograms are also useful is so most of the mentioned 3D TV applications. For example, in the field of education, many students opt for higher education through distance learning programs, which works out to be tough due to physical isolation, but will soon be able to sit in a holographic classroom along with the other students. What the future holds for us all is still not certain, but what is certain is that we are moving in the right direction and have definitely had a good start. How long it will take to reach the destination is up to all of us, whether to appreciate and accept the technology put forth is all our choice. We have already made our choice and can’t wait to see this technology turn into a complete reality, what about you? Philips, Panasonic, LG, Mitsubishi, Sharp, NEC, Hitachi and Sony are in the race for taking over the 3D TV market. LG is just the next brand in the growing line of consumer companies that are caving to be one of the elite few in the 3D run. LG has accepted that 3D TV is the next big thing and is also pushing forward their research to enter this market. Regrettably, that’s about all the details that LG is willing to shed light on. We hope LG doesn’t make us wear those horrid looking glasses though. Hitachi has gone ahead and has done something which the others still haven’t reached. What we are talking about is not only 3D TV, but also controlling such a TV with hand gestures. Hitachi was another brand that was showcasing its 3D TV technology advancement at CES 2009. This high-end TV panel of theirs works with a Canesta 3D sensor that allows TV viewers to interact with the controls of the TV through hand gestures. This TV is not just a prototype, but will be available soon. Soon you will be able to change the channels, even if you can’t find your remote control. Sharp has started off without waiting for television and movie producers to shift to equipment that produce 3D content. Instead, it is researching ways to convert 2D content such as videos into 3D. This would not only create new openings for content by converting old and current films and TV shows, but depending on the efficacy of the technology, could even eliminate the need for studios to invest in any new filming equipment at all. Sharp has used technology similar to Philips'. However, unlike Philips, it involves only a pair of images that will be recognized separately in each eye. However, in order for this to work, the viewer must be sitting still in one position. NEC has been working on a prototype to bring 3D TV to your mobile phone. We really don’t know what NEC wants to accomplish by doing so, as the screen size is said to be only 3.1 inch as 3D images never jump out beyond the frame of the screen you are looking at. This means you need to be holding the device really close to your face to have the full effect of 3D on your mobile phone. NEC wants to show how its hardware can decode and display 3D images in real time on a compact device. Mitsubishi has its own concepts and theories on 3D TV and doesn’t want to be left behind. It has managed to demonstrate a scalable system for real-time acquisition, transmission and stereoscopic display of dynamic scenes, which actually means 3D TV. However, we think it still really needs a lot of work done as the video that is available for preview doesn't match up to the others.